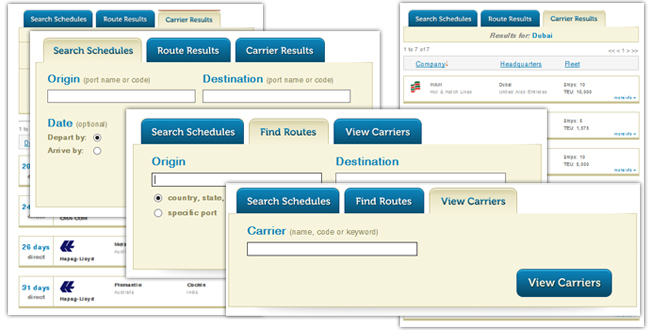 Linescape.com allows you to search the sailing schedules of over 125 shipping lines in real-time. What appears is real-time information of upcoming sailing dates with the vessel's name, transit time and ETA at the destination. Click here to access the application and then enter the port of origin and destination.